The Premium 175 features a soft plastic-coated mesh fabric platform which improves lying comfort. The mesh can be removed for laundry. 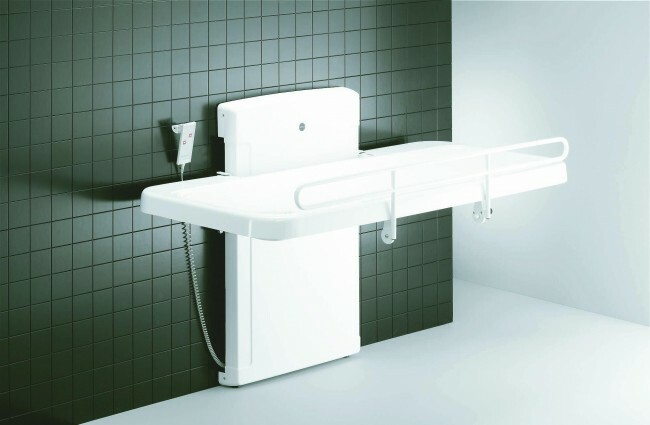 An integral folding safety rail is included and improves the patients confidence. The platform can be folded to improve available space within the room. 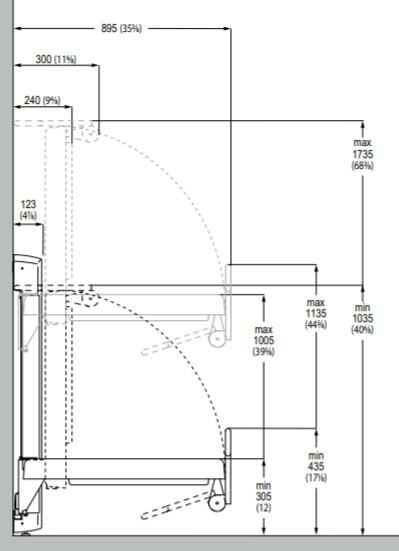 An integrated collection tray and drain hose means waste water is controled. 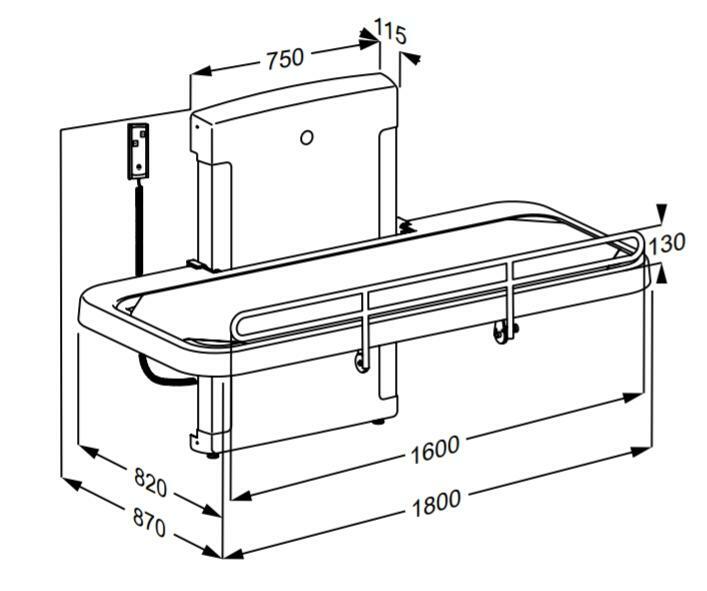 The Premium 175 is a great value shower bench. The powered height adjustment makes for easy patient handling and reduces risk to the care assistants. The user platform is constructed from a soft coated mesh material, which makes for a very comfortable surface to lie on. The Premium 175 has a water collection tray as standard, which directs all the wastewater into the convenient drain hose, so prevents splashing onto the floor. The Premium 175 also has a folding safety rail for user confidence.